Grace Road Group eateries, Patisserie Pacifica, i Sushi, Noodle Shop and Sunny Pizza at MHCC in Suva on December 5, 2018. Photo: Maraia Vula. Grace Road Group have opened four new food outlets at MHCC. It has provided employment to more than 10 local people. The new outlets are Noodle Story, Patisserie Pacifica, Sunny Pizza and i Sushi. Grace Road Kitchen chef Saeri Kim said they have added a new menus to all outlets and would continue to expand throughout Fiji. Ms Kim said: “The food is affordable and if you are health cautious come and check us out. “With these new outlets there are more healthy meal op­tions for people and they can enjoy it. 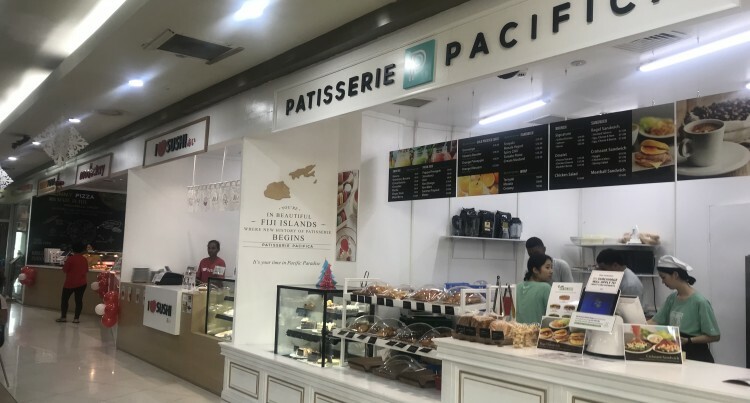 There are currently five Sunny Pizza outlets, six Patisse­rie Pacifica outlets, three i Sushi outlets and five Noodle Story outlets in Fiji.